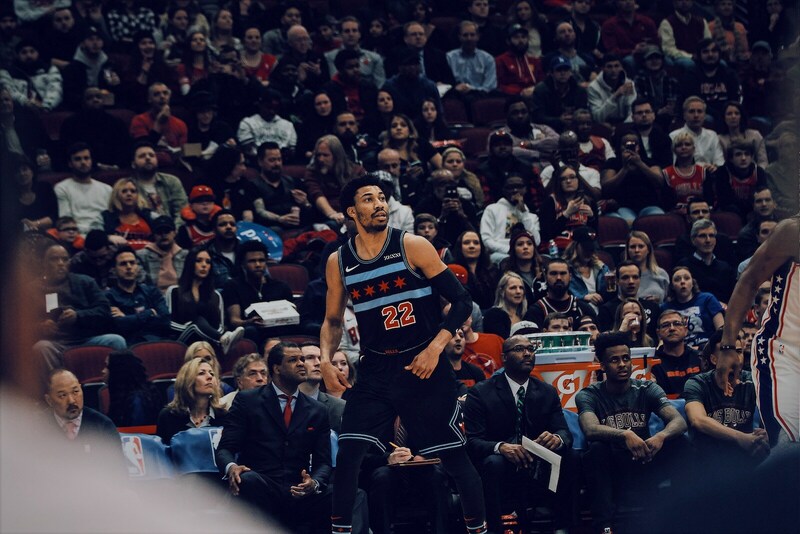 It was prime time Wednesday for the Bulls in the United Center, a rare national TV game for one of the league’s teams assigned the fewest national exposures. Move along, nothing to see here, the NBA and the national networks appeared to be saying about the rebuilding Bulls. But perhaps those Bulls are starting to get ready for prime time. “We’re going to switch that (TV time) around,” predicted Zach LaVine. Delusional, you might say as the Bulls are 19-47. Philadelphia is 41-24. But since the acquisition of Porter it’s been a sustained stretch of competitive basketball highlighted by scoring and shooting from LaVine, Porter and Lauri Markkanen, an offensive rebirth from Lopez in what has become an effective pick and roll with LaVine, and apparently the beginning of a belief. “The chemistry is clicking,” said Porter. “We are getting better every game. Each game we are taking something away to prepare us for the future, no matter what it is: Five minutes to go down 10, how we are going to respond at home? Protect home court, cut turnovers the last four minutes, simple things like that. It shows the growth, what we are trying to accomplish here leading to next year. We are trying to build on the right habits, build that winning mentality here, be a very detailed, defensive minded team. It also was a wildly entertaining game that passed for, at least this season, as close as the Bulls will get to playoff intensity with a team battling to enhance its position. Currently, the 76ers are fourth in the Eastern Conference and facing a dreaded first round playoff matchup with the Boston Celtics. Bulls coach Jim Boylen said prior to the game the Bulls are trying to use these kinds of matchups on ESPN, which spent most of the pregame interviewing 76ers, to simulate a playoff situation. But there was oh-so-much-more in a game with 19 lead changes and 20 ties and some very unusual moments. Especially the last moments when the 76ers inbounded with five tenths of a second left for the potential winner. And then about 15 minutes later did so again. Without Porter, by the way, who already was taking the routine league-mandated, post-game drug test. Hey, could Otto come out and play? You know, finish the game. “Actually I was already in mid stride, so I couldn’t stop,” Porter sort of explained. Game within the game 1: The clock isn’t supposed to start until someone on the floor touches the ball. But as the 76ers attempted a lob play toward the basket for the potential winner, the game ending buzzer went off before the ball on a high arc reached anyone. “When I touched it the buzzer already went off,” LaVine acknowledged. But everyone was leaving. So he left, too. Apparently, 76ers players felt Lopez guarding the inbound touched the ball, which would have ended the game. So they walked off the court, most of the fans left and local TV and ESPN began post game interviews on the floor. But wait, Lopez didn’t touch the ball. The officials reviewed film, confirmed the mistake and then began calling the teams back on the floor. “Zach came sprinting into the locker room saying we need five guys out there,” said Ryan Arcidiacono. Game within the game 2: That would be the talented 76ers, who were without star center Joel Embiid. Hey, the Bulls were without Chandler Hutchison. With the acquisitions of Butler and Harris to go along with Embiid and Ben Simmons, the latter who had 18 points, 11 rebounds and seven assists, the 76ers despite their standings appear to have the talent to win the Eastern Conference. But there appear to be elements of a troubled team. It may be the team to watch post season. With the delay to return to the court — the big surprise was how little the 76ers coaches complained about what seemed an obvious violation of the rules to end the game prematurely — Butler was overheard in the hallway outside the locker room yelling that if they went back out they needed to draw up a better expletive play than before. Previously late in the game, as coach Brett Brown was drawing up a play and showing Butler, Simmons pushed the clipboard away and walked onto the court. It could all be the intensity of the game and a motivated team anxious to do great things, the spirit of the 76ers. Or not. That was late in the third quarter with the Bulls trailing 77-74 when the backup point guard who leads the team in charges and bruises made the hustle, are-you-kidding-me play of the game. Mike Scott’s shot rolled off the rim and was tipped out toward Arcidiacono on the left wing by James Ennis. Porter went for the ball and collided with Simmons, and both seemed to deflect the ball. Arcidiacono in front of the Bulls bench went into a full parallel dive into the stands too get the ball. But with the wherewithal to tip the ball forward to Porter as Arcidiacono propelled himself into the fans. Porter got the ball, took two dribbles into the front court and lobbed to LaVine running ahead for a dunk. Though just fundamental for Arcidiacono, who actually was matched up for the first time against one of his idols, T.J. McConnell, the 76ers’ veteran Arcidiacono. Noe everyone wants to be like Mike. But how does that kind of thing occur? 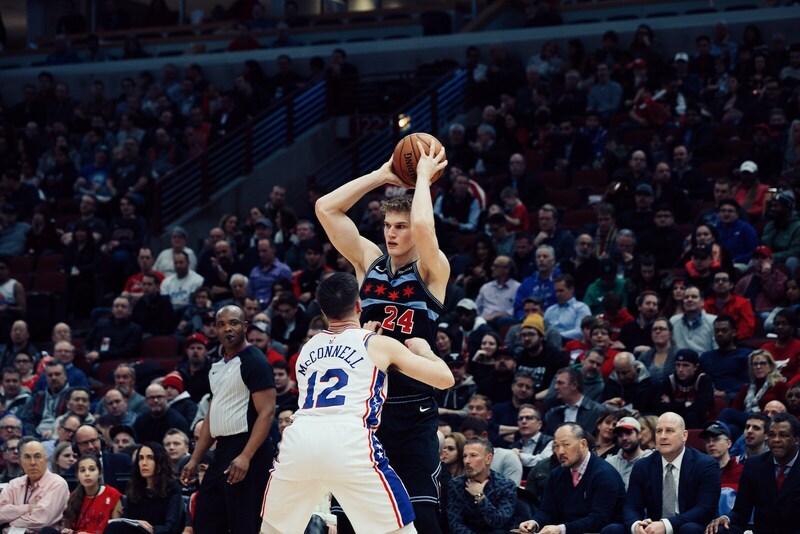 It was another tough game for Kris Dunn with four points on two of six shooting, and Markkanen after his run of 20/10 games was somewhat passive for the second consecutive game with 11 points and just nine shots. But it wasn’t so much the Bulls not searching for him as Markkanen being run off plays by the physical 76ers. Though Markkanen is highly skilled, he has difficulty creating his own shot, vital for an elite player, especially against tougher play. For the Bulls, this time they didn’t get burned. It was a slow start, trailing 12-4 as one of three teams with a poorer home record than road record (now 8-25 at home). The Bulls had a late 9-0 stretch in the first behind Lopez’ 13 first quarter points to tie the game at 30 after one quarter. Markkanen started on Simmons and got quick foul trouble. It was tied at 57 at halftime, and then LaVine took charge for the Bulls as he would score 26 points in the second half. 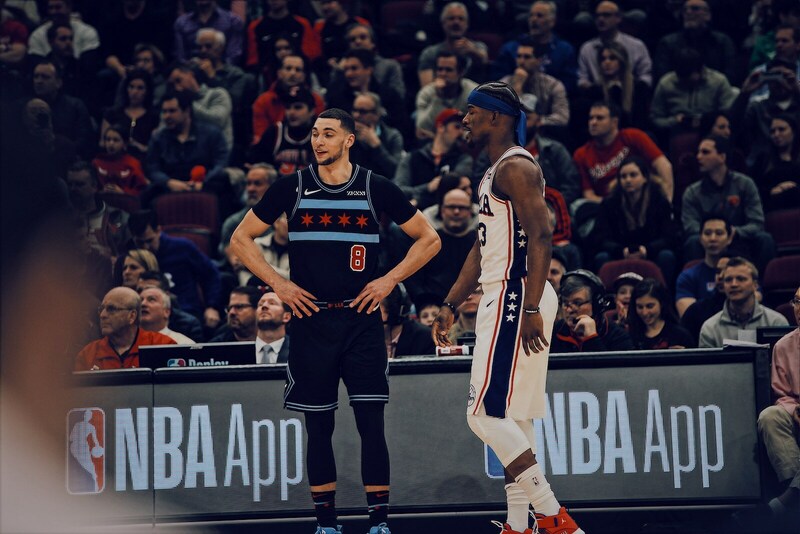 Porter and Lopez were excelling on the boards with tough rebounds snatched away from aggressive 76ers players, Porter especially with an impressive offensive rebound between a pair of 76ers and with the same hand passing out to LaVine for a score. Though a late 76ers run gave them an 86-82 lead after three quarters. Philadelphia then seemed about to be cheese steaks for all with a 98-88 lead midway through the fourth quarter. It looked like the Bulls wrapped up like a pretzel for another late defeat like against Indiana Tuesday. But it then started with Porter with a hard drive and score. 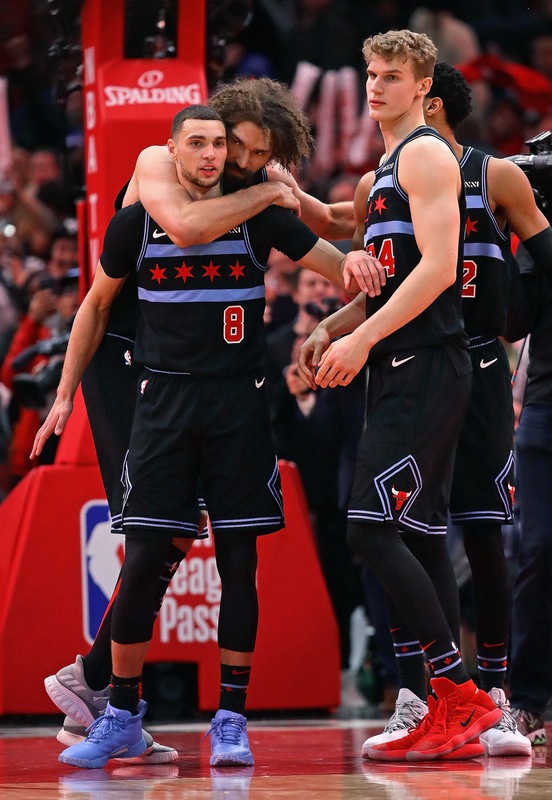 The scoring baton then went to LaVine for a Cali-step drive for a score, a quick pullup three against tight defense and a drive on a pass from Lopez to make it 98-98 with 3:41 left. Game on. Porter matched Simmons layup and free throw with a three. But the 76ers went ahead 105-101 with 1:52 left when Butler began operating. The former Bull has been quieter and less obvious with the 76ers, seemingly satisfied to move the ball until being the finisher late in games. But LaVine scoring his 13 points in the last 5:30 of the game drove into the lane for a short jumper and tied it with another over a bruising Lopez screen with 46.6 seconds left. Harris missed and Lopez was fouled, making one of two for a 106-105 Bulls lead with 17.1 seconds left. Butler held the ball until about seven seconds left, isolated and then drove past LaVine. The help was late and Butler was fouled, making both for the 76ers lead. Butler then was defending LaVine making the inbounds to Lopez. But when LaVine got the ball back and went over the Lopez screen, Butler went with Lopez as did Scott defending Lopez. Ooops. A Bulls red sea of a driving lane suddenly opened up and LaVine led his people through Simmons and a retreating Scott for the layup. Simmons then attempted that inbounds lob to Butler that LaVine knocked away. After a long delay and before by now a mostly empty arena, Butler fumbled the inbounds redux to finally end the game. The Bulls passed a big test; apparently Porter as well.